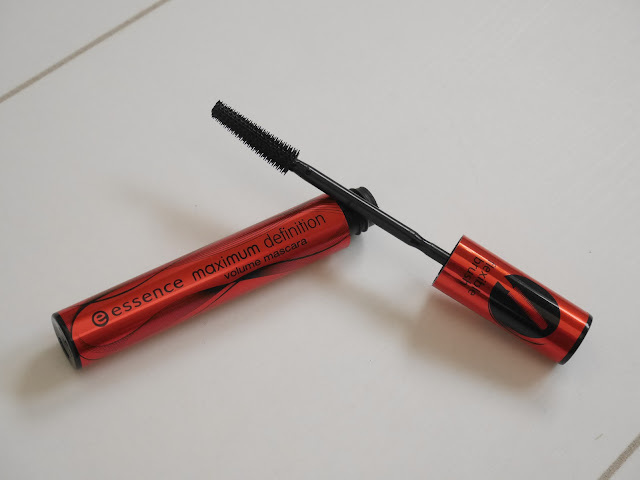 Essence Maximum Definition Volume Mascara. Today I want to talk about a mascara that I have use 6 years ago. I want to test it and see if I still like it as much as I did 6 years ago! I used to have this mascara when I was 13 years old and It was the only makeup that I used. 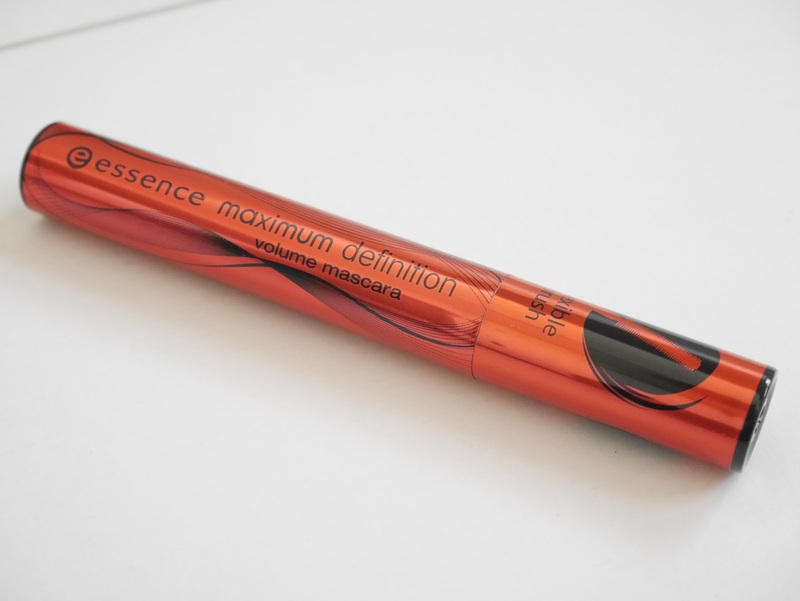 The packaging is a metallic shine red/orange tube. The packaging isn't very spectacular but I like the look of it. The brush is flexible and is made of plastic. I used to love this kind of brushes but I haven't used it in a long time. As you can see I have blond eyelashes. You can't see then very good when I have no mascara on. My lashes aren't very long also. The mascara separates my lashes very nice. It is nice and black and I can get every little lash very easy. 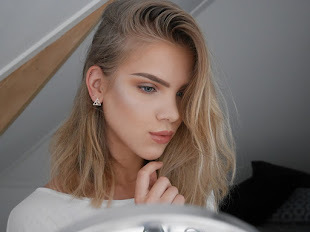 I think it looks very natural and I really like it. It applied very easy for a second coat. But I think it doesn't separates as nice as with first coat anymore. But is it nice and black and my lashes aren't that bad. The mascara is nice but I don't like it as much as I did before. I have used other mascara's that gave my lashes a better look. But I think that a lot of people will love this mascara. So If you like a very black mascara with a thin plastic brush. Give it a try! In the Netherlands you can get the mascara at Kruidvat for €2,89. In the UK you can get the mascara at Wilko for £2,80. And In the US you can get this mascara at Ulta but I can't take a look at the site I don't know why. Essence Shine Shine Shine Wet look Lipgloss.